We have always entertained the idea of cars that drive themselves. But until recently it was only really thought of as a far of fantasy, the stuff of sci-fi movies and fantasy novels. In the past few years however, driverless cars have not only become a real possibility, but a reality that is simply waiting to be perfected enough for everyday use on the highways of the world. So what would a world full of driverless cars look like? Though it’s difficult to imagine that people will ever lose the desire to drive themselves, there is no doubting that driverless cars will change the face of highways as we know them. Here are some of the ways in which driverless cars could change roads across the globe. Due to a driverless car’s ability to remove human error from the equation, these vehicles will–in theory–be innately more safe than their current, human-driven alternative. An autonomous car will also be able to react much quicker than a human would. This will inevitability lead to fewer accidents on the road. Right now, texting while driving is incredibly dangerous and potentially life-threatening. However, with no driver, people will be able to use their phones at will, and distracted driving will no longer be a problem. And what’s more, you can also take a nap during that morning commute and catch up on that sleep you missed during the night. Drowsy driving will also be eradicated. Driverless cars seem to lend themselves more naturally to car sharing. Coworkers or friends can all get a car together to their destination for a more social experience, saving on gas and protecting the environment in the process. If you have a job with a salary, or which lends itself to working from home, you would be able to do work both to and from your office if you drove in an autonomous car. This would allow you to cut down on the amount of time you have to spend in the office. One common design for autonomous cars is to have the seats facing each other. And even if they aren’t, the absence of a driver would allow for a more social driving experience, as everyone can talk and chat at their leisure, without the need for concentration. 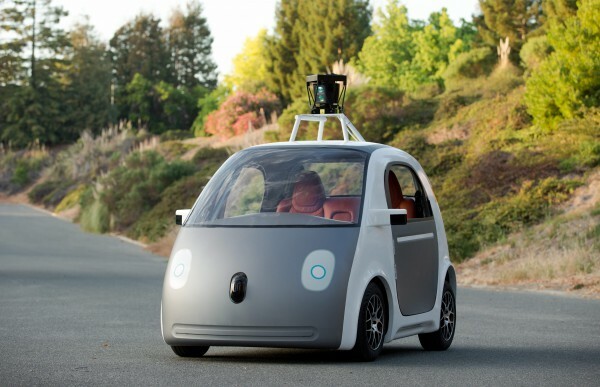 A driverless car would be able to stay with legal speed limits that would be pre-programmed. This would mean that there would no longer be any speeding tickets on the road. Sounds like heaven!